Curriculum-We believe that children learn best from each other and especially learn by doing. We, as teachers facilitate the learning process. In addition to our own creative lessons and activities, The Vine Preschool uses the Mother Goose Time Curriculum to implement activities and projects based on an overall theme. Experienced Teachers-First and foremost, our teachers love what they do! They enjoy the age group that they work with and have been teaching for many years. They either have a two or four year degree, a Child Development Associate or are working towards it. Schedule-The children follow a daily schedule everyday that includes, Circle Time/Morning Meeting, arts and crafts, “work” time and indoor and outdoor play. Staff Training-All of our staff are CPR/First Aid/AED trained and receive 30+ hours of early childhood education training annually. Meals-Breakfast is served consisting of items such as cold cereal and bananas, yogurt and pineapples and cinnamon bread with applesauce. A hot lunch is served and catered in by the Good Food Company and Parents are responsible for sending in an afternoon (PM) snack for their child. WE ARE A NUT-FREE FACILITY. Drop Off Time-Parents drop off between 6:30-8:30am and all children must arrive before 9:00am which is the cut-off time for arrivals. Once a child is picked up they are checked out for the day. There is a late-fee assessed for arrivals after 6:00pm. Sick Policy-If your child is sick, you will be notified immediately and parents have an hour to come pick up their child who is ill.
References-We have Parent References available upon request. Can Parents visit The Vine Preschool anytime during the day? 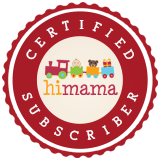 Parents can visit anytime to see how their child is transitioning or just to stop by. We encourage parents to observe how their child interacts with peers because their behavior is usually very different from their behavior at home. When parents visit our program, they are sometimes surprised when they see how eager their child is to clean up or how well their child eats their veggies! Being involved in your child’s education from the beginning increases your child’s educational success. What is your policy on discipline? Our discipline policy focuses on redirection, consistency and firmness. We encourage respect for others and respect for property. Children are always reminded of the rules and expectations. Please keep in mind that there WILL be disagreements between children and there will be times when children test limits with adults. Young children have a hard time expressing their feelings. Sometimes they hit, throw toys, bite, kick and scream. We will try to prevent inappropriate behaviors and redirect when necessary. We frequently use the term “use your listening ears” and children have responded well to that approach. When conflicts arise, we are pro-active, not reactive, with children. We must think about the underlying cause of a child’s behavior so that the undesired behavior is eliminated. We must use continuous positive reinforcement to maintain desired behaviors in children. If a child continues to exhibit an undesired behavior, he/she will be removed from the group for an amount of time comparable with the child’s age. Under NO CIRCUMSTANCES will there be any physical abuse, verbal abuse, name calling or isolation used. Food will never be withheld from children as a means of punishment. We will always create consistency for the child through open communication with parents and staff. What holidays are celebrated at The Vine Preschool? The Vine Preschool celebrates all federal holidays. Good Friday, Thanksgiving Eve (Wednesday before Thanksgiving), and Christmas Eve. What holidays are observed at The Vine Preschool? Who prepares the meals for the children? Breakfast is prepared in-house and consists of food items such as cold cereal and bananas, cinnamon bread with applesauce, and yogurt with pineapples. Lunch is catered by the Good Food Company. The Good Food Company serves USDA approved nutritious hot lunches everyday. Snack is provided in-house after nap time in the afternoons. You will receive monthly menus by email. What are Parents responsible for bringing in regularly? What is your policy for drop off? The Vine Preschool provides child care services from 6:30am-6:00pm. Breakfast is served on a rolling basis as children arrive. However, children must arrive no later than 8:30am in order to have Breakfast. What is the procedure for reporting an absence? If your child will be absent, please notify us as early as possible. If you are running late, please call to notify us by 7:45am so that we can plan accordingly. Thank you for your courtesy, in advance. The latest drop-off time is 10:00am and it only applies to Doctor’s appointments with a note. We will not accept children after 10:00am. When is the latest time that I can drop off my child? We will accept children no later than 9:00am. For morning doctor appointments and delayed openings due to weather, please note that children must be dropped off NO LATER than 10:00am. We cannot accept children later than 10:00am as it interrupts the daily routine that your children are accustomed to. Thank you in advance for your understanding. What is your policy for picking up children? The Vine Preschool provides child care services from 6:30am-6:00pm. Please call us by 5:15pm if you know that you are going to be late picking up your child and notify us of which emergency contact will picking up your child. Only people who are already designated in writing (located in your child’s file) may pick up your child. Those individuals must show their driver’s license or picture ID before picking up. The person who is picking up must show their Driver’s License for identification purposes. What are your fees for late pick-ups beyond our control? From 6:01pm-6:05pm, $2.00 per minute . From 6:06-6:10pm, the late fee is $3.00 per minute. From 6:11pm and thereafter, the late fee increases to $4.00 per minute. If we do not hear from the person who is expected to pick up your child by 6:00pm, the parents will be called. If parents cannot be reached, the people on the emergency contact list will be called. By 6:15pm, if we do not hear from parents or emergency contacts, the police will be notified. A communicable disease such as hand, foot and mouth, strep throat, chicken pox, measles etc. Or any other symptoms that cause apparent discomfort to the child. Parents are expected to pick up their child within 1 hour of being notified about their child’s illness or have an emergency contact with identification, pick them up. *When returning to school from an illness, a doctor’s note alone does not guarantee that your child may return to school. Each determination will be made by the Director on a case by case basis depending on the severity of the illness and/or how fast the illness spreads or has already spread. When is a doctor’s note required? A doctor’s note* is required every time your child is seen by a doctor/nurse practitioner, whether it is a sick visit or a well visit. What is your snow policy? The Vine Preschool follows Fairfax County Public Schools for snow, ice and any other hazardous weather conditions. Please read the rest of our snow policy here. What is your Emergency Preparedness Policy? As soon as your child is enrolled, you will receive the Emergency Preparedness Plan and the Director will go over the plan with you. Whether you have questions about infant care, toddler care, or preschool, we encourage an opportunity to come to see what The Vine Preschool is all about. On the date of your appointment, a tour of the learning environment will be provided followed by an interview between the lead child care educator and the parents. 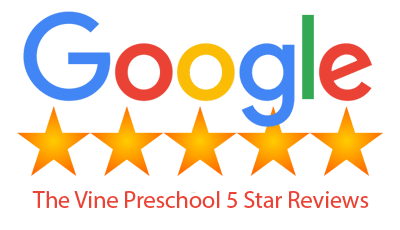 The Vine Preschool philosophy and educational perspectives will be outlined and your child’s developmental needs will be discussed. A registration packet will be provided upon request. Call us with any questions or concerns that may arise after your visit and we’ll be happy to answer them!